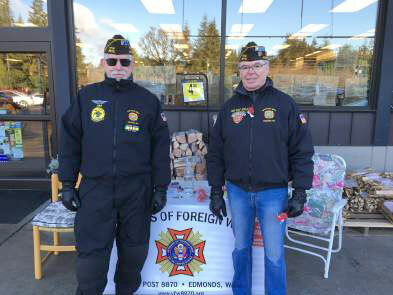 Nearly 30 members of Post 8870 offered most of two days of their time at four supermarket locations in Edmonds, Mukilteo and Lynnwood, (something in the nature of 250 “man-hours”) distributing the VFW “Buddy Poppy” to residents and asking them to wear the poppy to remember their comrades who fell in combat. Jim Murdock and Dan Doyle at QFC on 196th on Saturday. 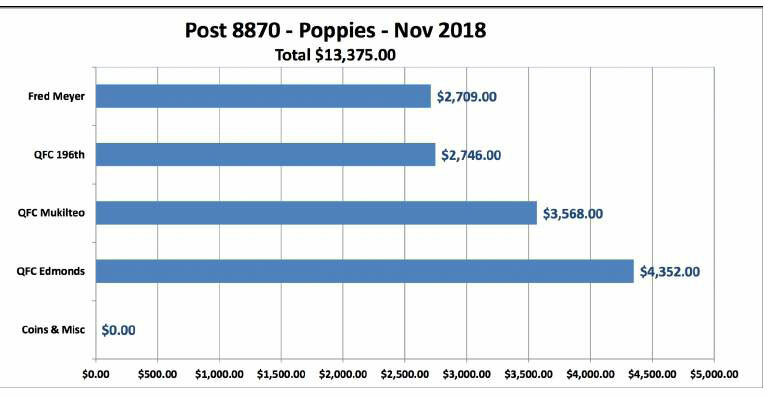 Many fellow citizens offer a “Thank you for your Service” in response and reach in their pockets for a few dollars to help support our efforts. 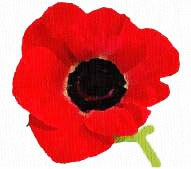 Even those who have not served in uniform, have family members who have served in this and past generations. The stories of those family member’s service, often shared with participating veterans, are wonderful to hear and make the effort seem worthwhile in and of themselves. Results shown below.